Check out the story behind this 1950s-era promotional matchbook for El Fenix Cafe—currently (according to El Fenix) the oldest Mexican restaurant chain in the United States. 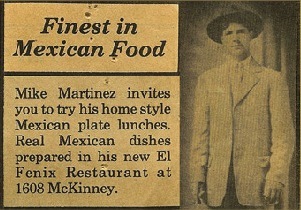 Today, El Fenix has something like twenty-two locations in Texas and Oklahoma, but it began as a one-man operation, the Martinez Cafe, started by Miguel Martinez in 1916, five years after Martinez left Mexico at the start of the Mexican Revolution. At the beginning, "Mike" Martinez—who, as a seven year-old child, worked for two cents a day as a silver-mine mule-train driver, and who would marry fellow immigrant Faustina Porras in 1915 and with her go on to raise eight children—only offered Anglo dishes, but he slowly began integrating Mexican food and, in 1918, opened El Fenix which focused entirely on Mexican cuisine. 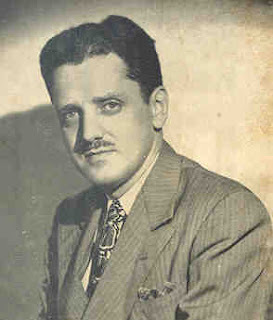 In the 1930s—not looking back on the business deal that might have been (when he sold a tortilla machine to Herman Lay, eventual founder of Frito-Lay, for two hundred dollars)—Miguel annexed the neighboring building and opened El Fenix Ballroom where Glenn Miller, among others, would come to jam with the house band after hours. Miguel retired in 1946, became a U.S. citizen in 1947, handed off the business to his family, and retired to his boyhood home of Hacienda Del Potrero, Mexico, where he subsidized efforts to bring water and electricity to that town. He died in El Potrero in 1956, before he could see his wife Faustina elected chairman of the board of El Fenix Restaurants (1961) and before his daughter Anita became the first Hispanic woman ever elected to a major city's city council (1969). Apparently, Miguel (pictured here) kept a clipping in his wallet that read, "There are rich men that are poor and poor that are rich. A poor rich man is one who does not know how to make use of his riches and accumulates them in such form as if he thinks he is going to live forever." 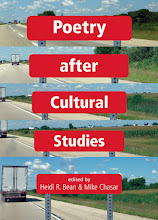 No surprise, then, that one U.S. immigrant fond of the pithy philosophical statement would admire the work of another immigrant fond of the pithy philosophical statement—poet James J. Metcalfe who authored "El Fenix Cafe," the rhyming prose poem (a poetic form that Sinclair Lewis would call the "poemulation" that P&PC discussed over three years ago here) printed on the matchbook's inside cover. Metcalfe—whose first book Portraits included over 750 (you read that number correctly) appealingly schmaltzy rhyming prose poems initially published in Chicago newspapers such as The Times (billed as "Chicago's Picture Newspaper"), which ran Metcalfe's column of the same name—was born in Berlin, Germany, in 1906 and immigrated to the U.S. with his parents (his mother was an American concert pianist) around 1913, shortly before the start of World War I and three years before Martinez started the Martinez Cafe. Metcalfe did undergraduate work at Notre Dame, earned a law degree at Loyola University in Chicago, and became an FBI agent working for the Chicago Bureau. His family's online biography tells us that he took part in cases against "Baby Face" Nelson, "Pretty Boy" Floyd, and the Lindbergh kidnapping, and that he was among the team of agents who ambushed John Dillinger outside The Biograph theater in 1934. In the 1940s and 50s, no doubt bored by his life of fighting crime, Metcalfe turned to writing verse, which he published in more than 100 newspapers in the U.S, Canada, Ireland, and Mexico. He published ten books with Doubleday (reportedly he published 17 books in all) and saw his poems reprinted in Hallmark greeting cards. And, apparently, he was also a pen-for-hire, writing the matchbook poem for El Fenix pictured here, composition of which we date to before March 1960, when Metcalfe died, four years after Martinez, at the age of 53. We don't know how the Martinez family from Texas crossed paths with Metcalfe from Chicago. But we're not going to worry about it too much. Rather, we've got our sights on finding someone who can order us up a plate of enchiladas with a side of poetry—or maybe a plate of poetry with a side of enchiladas?—today.